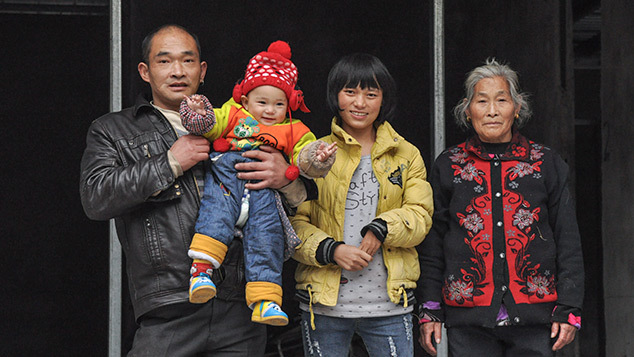 Many parents had second children after losing their firstborn in the 2008 Sichuan earthquake, but replacing the irreplaceable has come with fresh hardships. 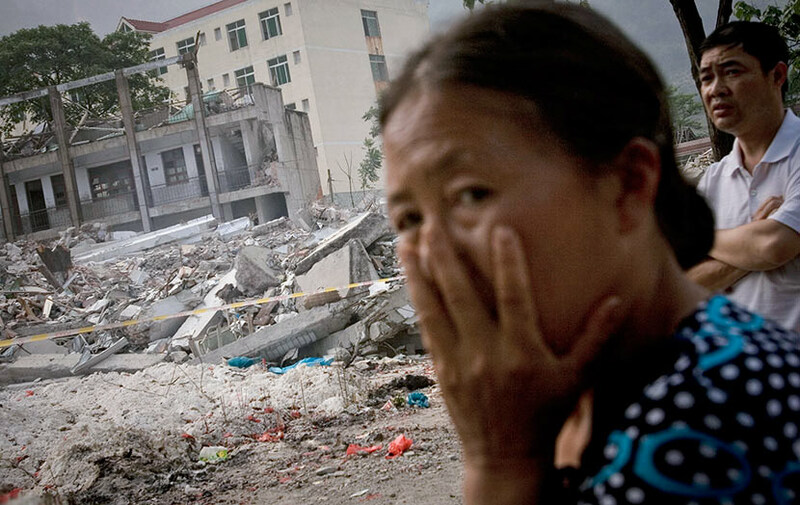 This article is part of a series about the Wenchuan earthquake, which left more than 80,000 people dead or missing in May 2008. SICHUAN, Southwest China — For 8-year-old Liu Qing, the school week starts early. At 6 a.m. on Monday, he and his father trek 10 kilometers from their home in the mountains to the elementary school in Piankou Township where the child boards. They are out the door before sunrise, but on the bright side, the journey only takes an hour in Qing’s father’s motorized rickshaw — a speedy commute compared with the three-hour return trip by foot at the end of the week, when Qing is accompanied by his mother. What awaits Qing back on his family’s farm deep in the rocky ravines of Sichuan’s Beichuan Qiang Autonomous County are not just the heartbreaking — and heartbreakingly standard — conditions of rural poverty found all over China, but also the added challenges of families ripped apart and tenuously reformed in the wake of great loss, their life trajectories set back by over a decade. This is because Qing’s brother, 16-year-old Zhenghua, was killed in the magnitude-7.9 earthquake that struck Sichuan province on May 12, 2008. Qing was born afterward, a new hope for his grieving parents. The tremors of the earthquake — can they really be as accurate as an American bomb, and only affect one building and not another a hundred meters away? The earthquake that ripped apart Qing’s family left over 80,000 dead or missing, and 375,000 injured — as well as anywhere from 4.8 to 10 million displaced across the province. Official figures say that 5,335 schoolchildren were killed. 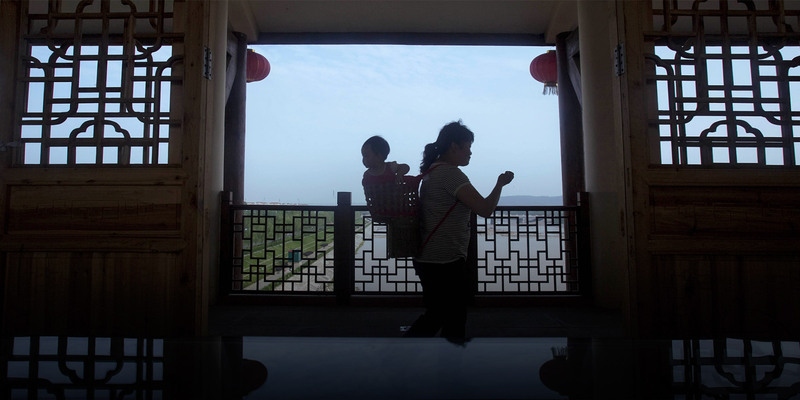 Because of the one-child policy, many families had lost their only offspring. In the months and years after initial rescue and humanitarian aid efforts gave way to reconstruction, the Chinese government made a rare exemption to the one-child policy, allowing and even encouraging parents whose children were killed or left disabled to get pregnant again, even performing reverse sterilizations. 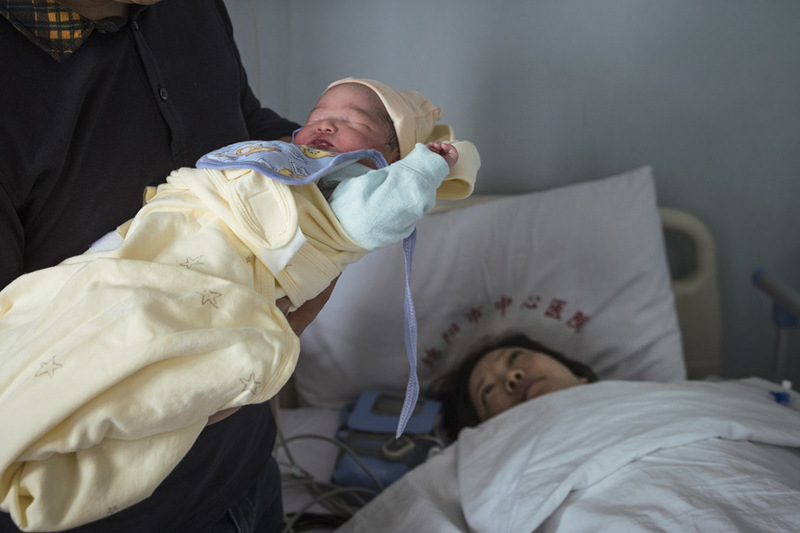 The first children resulting from this new policy were born in 2009, and on April 24, 2018, a local paper reported that Beichuan’s 1,000th post-earthquake baby had been born. There are no available figures on just how many of these children there are throughout the region, but in Piankou, Duan Benju, who works at the local primary school as the dorm monitor for the girls who board there, knows of at least 10 such families in the town — just one of hundreds affected. That Piankou was left structurally intact is a testament to the fact that not all of the quake’s devastation was visible. 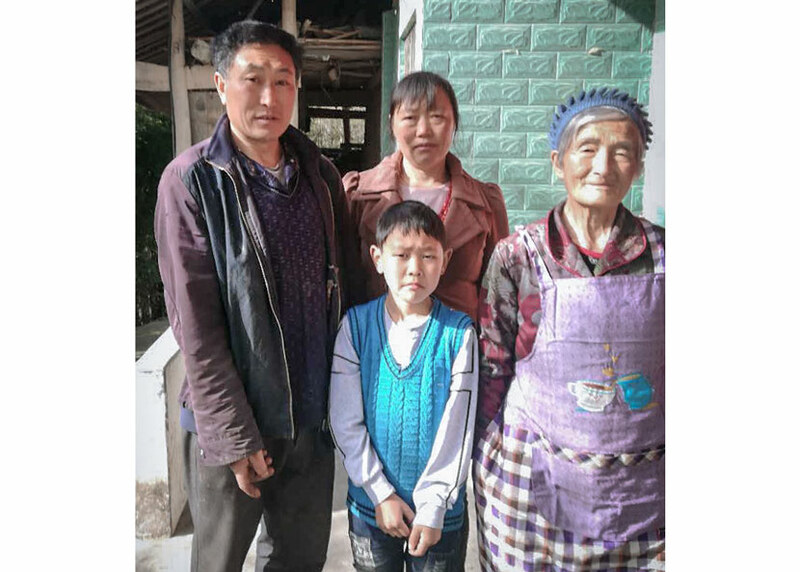 Duan and her husband, Lu Shihua, married in August 2008, only a few months after the roof of the secondary school in Beichuan’s county seat collapsed on Lu’s 16-year-old daughter. Piankou is a gray town of concrete slabs about 65 kilometers from the old town of Beichuan. Only accessible by a single cliffside road that consists, it feels, purely of hairpin turns, it is sometimes cut off during the rainy season by boulders, tree trunks, and other debris that crash onto the road below. This is precisely what happened 10 years ago, when the earth ripped open along the fault that runs through the Longmen Mountains, resulting in one of China’s worst natural disasters since the founding of the People’s Republic. 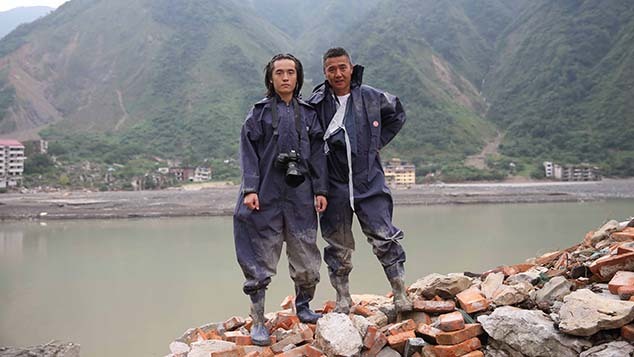 The earthquake cut off the road to Piankou for weeks but spared the town the physical destruction that leveled places closer to the epicenter — like Beichuan’s former county seat, where 80 percent of the buildings were destroyed and a large proportion of the population killed. Yet the devastation of Beichuan’s old town was felt keenly in Piankou as well, especially by parents. Because Piankou is too small to have its own secondary school, its brightest students board at the one in the county seat, two hours away. On that May afternoon 10 years ago, these Piankou children were among the estimated 1,000 students and staff crushed when the roof caved in — the single deadliest building collapse of the earthquake. When Lu’s 16-year-old daughter, Fang, died in the earthquake, the loss was doubly devastating. Her mother had died in childbirth, and Lu had raised her alone. He admits that he coped with his wife’s death by drinking, and that it was his daughter who helped him recover. “She was always one of the top three students in her class,” he says, adding that her academic success and serious nature inspired him to be a more present father and quit drinking. “Toiling for 16 years as a [single] parent, I could finally see the light at the end of the tunnel,” he says. Then the earthquake took his child. Lu was afraid of spiraling back into depression, but instead he found purpose in two new endeavors: moving forward with the living — he and Duan had their own daughter, Rui, in 2010 — and seeking justice for the deceased. Lu and Duan joined the many other bereaved parents who were questioning the official narrative that the deaths of the Beichuan schoolchildren were a devastating but unpreventable tragedy. Lu happened to be in the county seat on the day of the earthquake — and in fact had just had lunch with his daughter. That coincidence meant he was among the first to reach the school after the quake hit. He recalls going into his daughter’s dormitory to look for her: It was damaged but still standing, unlike the completely collapsed main classroom building, constructed just two years prior. This is not a kind place to women. There are no jobs, and if she marries poorly and is mistreated by her husband and in-laws [...] her life will be over. “The tremors of the earthquake — can they really be as accurate as an American bomb, and only affect one building and not another a hundred meters away?” Lu asks, taking a long drag from his cigarette in the family’s two-room apartment off Piankou’s main road. Despite official promises of a formal inquiry, however, the parents never received a clear verdict on the construction issue. 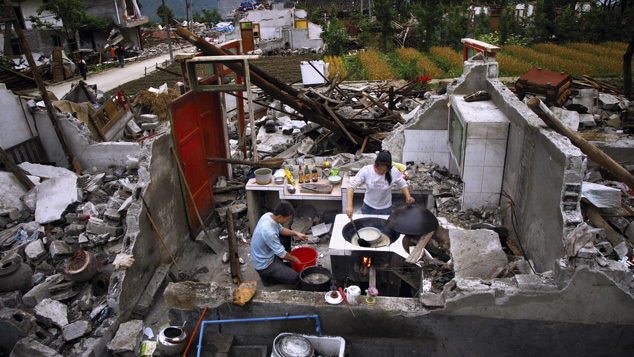 In March 2009, Wei Hong, then a deputy governor of Sichuan province, held a press conference to announce that the collapse of schools across the region was due entirely to the strength of the quake, rather than to any issues with their construction. However, the provincial government never released official figures supporting this claim, and it is unclear whether any even exist. Without data to corroborate the government’s position, the bereaved parents remain unconvinced. Some have continued to voice their grievances, but as the years pass, fewer and fewer are doing so publicly. Detentions, payoffs, the futility of the effort, and the struggles of daily life have all taken their toll on the once-determined crusaders. Rui, now 8, has her father’s doleful eyes and her older sister’s studious nature. “I’m an OK student,” she says shyly, before revealing that she received full marks on her last Chinese language and math exams. If [our daughter] were still alive, she would be working, and we’d only have to worry about our parents. But you can’t just invent the economic conditions you want. But ultimately, Rui doesn’t want to venture too far. She hopes to come back and teach in New Beichuan — as most locals call the new county seat, officially named Yongchang, to distinguish it from the ruins of “Old Beichuan” over 20 kilometers away. There, she can be close to her only living sibling, her mother’s son from a previous marriage. How she’ll achieve these goals, though, remains up in the air and is a source of constant worry for her parents. Lu is 52, Duan 48. “I’ll be in my 60s by the time she gets to college,” Lu laments. Though most rural parents start to depend on their grown children by the time they reach their 60s, Lu and Duan will have to find a way to support their daughter for at least another decade, even though both are past their prime wage-earning years. Already, they’re feeling the pinch. Duan is currently the family’s main breadwinner, making around 1,500 yuan ($240) from her part-time position as a school dorm monitor. The family must stretch her salary to cover their own living costs while also supporting Lu’s ailing parents, both in their early 70s. The family’s expenses will only mount as Rui gets older. While the compulsory education period of elementary to middle school is free for students across China, high school is not. In a few years’ time, Rui will follow her older sister to Beichuan Middle School, rebuilt in New Beichuan. Between boarding fees, transportation costs, and daily living expenses, this will put the family between 10,000 and 20,000 yuan out of pocket per year. Still, despite these worries and financial burdens, the Lu family recognizes that in their town, they are still better-off than some of their neighbors who have had second children. They live within walking distance of their daughter’s current school, at least, while other students — like fellow second-grader Qing — have boarded at the school from as early as age 4. To his credit, Qing puts a positive spin on his three-hour walk home on Fridays. “I don’t get tired — I like the exercise,” he says. Qing’s mother, Liu Zhaoyu, even confides that he has begged her to stop coming to fetch him. But Qing is too young to make the trek alone, and when school lets out, his father is usually in the mountains, foraging for medicinal herbs. “Motorcycle-taxis cost 50 yuan,” Liu says of the only other transport option, explaining that the family only makes 1,000 yuan a month from farming, raising pigs, and selling mountain herbs, plus an additional 200 yuan per family member in government assistance. “We’d rather save that money for [Qing’s] food or our other expenses during the week,” she says. They, too, must factor in the additional cost of having an elderly parent: Liu’s father-in-law is 90 years old and blind, and requires her constant attention throughout the day. In light of all this, Liu knows she is asking a lot of her son. Especially when he was younger, each three-hour trip would give him painful leg cramps. I tell him, ‘OK, you just focus on studying, and we’ll figure out the rest,’ because I don’t want to discourage him by saying that we don’t have money. 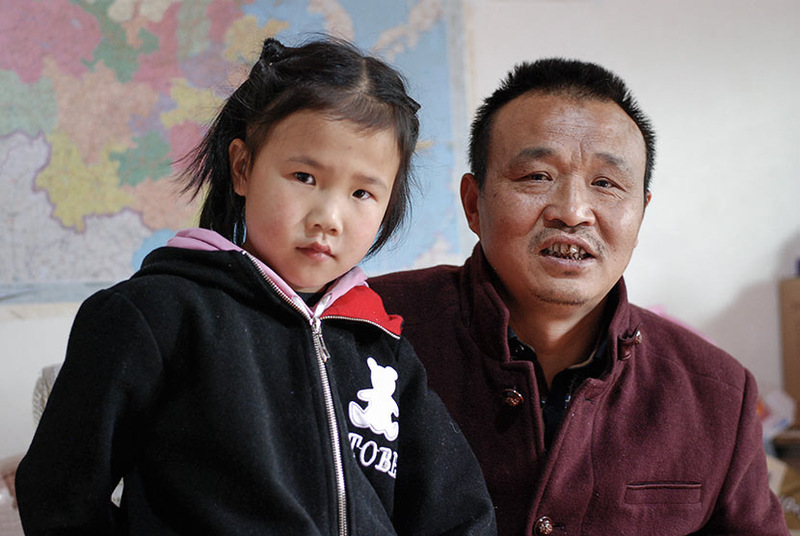 But some children, like 8-year-old Wang Xingsun, journey farther still to attend school. 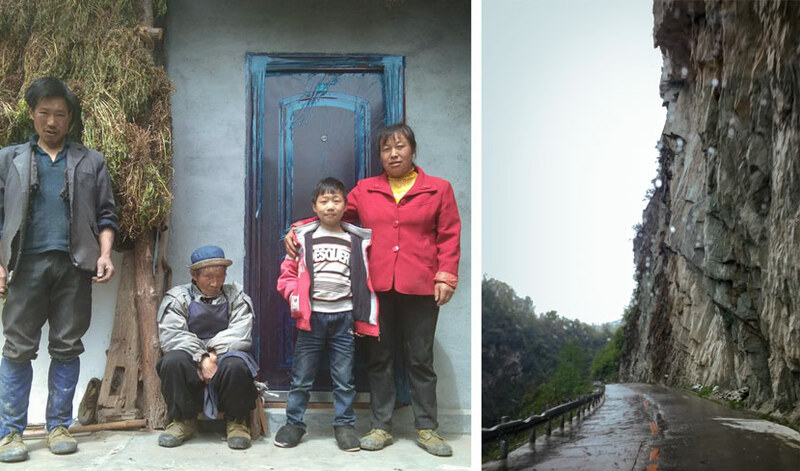 Xingsun lives 20 kilometers outside of Piankou with his parents, his 87-year-old grandmother, and their stories of Xuelian, the 18-year-old sister he never met. Xuelian had good grades and had hoped to attend a good university, get a stable city job, and send money home to help change her family’s precarious financial situation. For now, Xingsun’s parents are focused on saving up for the next few years of his education. When he’s a little older, they hope to send him to New Beichuan for secondary school, just as they had sent his sister to Old Beichuan. But even this will not be easy. Before the earthquake, Yang spent several months each year in the northwestern region of Xinjiang, where she rented a plot of land and grew cotton, earning up to 10,000 yuan in a good year to supplement the little money her husband earned on their farm in Sichuan. But after the earthquake, she returned home. With the birth of her son and the responsibility of caring for her sick mother, she hasn’t been back to Xinjiang since the quake. This is a common scenario across the earthquake-ravaged region and a major economic challenge for the families who have had second children. Whether out of guilt for how much they missed of their first child’s life or the additional duties of child-rearing, elder care, and general rebuilding after the disaster, many families have opted to stay close to home, and as such have found themselves with less income just when they need it most. Such is the case for Xingsun’s parents. Today, the family relies on the boy’s father to do whatever work he can find in Piankou. Some months he might get 10 days of work, other months next to none. Between the odd jobs, foraging, and farming, the family earns around 1,000 yuan a month, which they must stretch to support four people, including Xingsun’s grandmother. “Lately, I keep thinking about what it’ll take to help [my daughter] grow up and become a person of character,” says Lu. As with his first daughter, Lu knows he can’t offer the same educational opportunities and other advantages provided by urban parents, but this time around, with his advancing age constantly on his mind, he feels his limitations more urgently. Many bereaved parents chose to have kids again to provide themselves with renewed purpose and a support system as they age, but now they are confronted with the opposite problem: Children can only support their parents once they grow up and get jobs themselves. Over the years, Lu has reached out for support through various avenues, but to little avail. And as the years go by, he knows that the likelihood of families like his being forgotten grows ever greater. “Right now, I know that our problem is just a personal, family problem,” Lu says. But given the number of parents just like him in Sichuan, he wonders whether their plight could become a nationally recognized one. Ideally, he’d like to see his challenges, and those of his bereaved peers, touch the “loving hearts of the Chinese people” and be acknowledged by civil society organizations or the government, to the extent that his family — and all of those like his — might finally receive support. 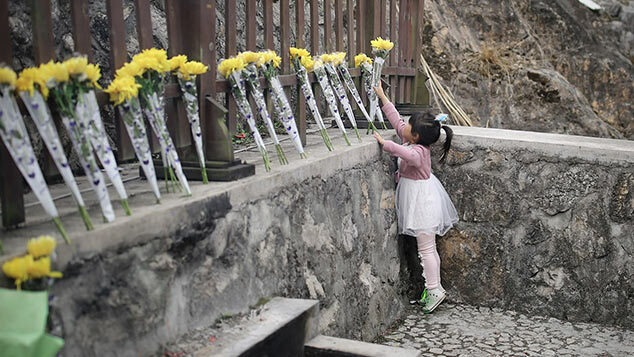 On the 10th anniversary of the so-called Great Wenchuan Earthquake, all of China will be reflecting on the tragedy. 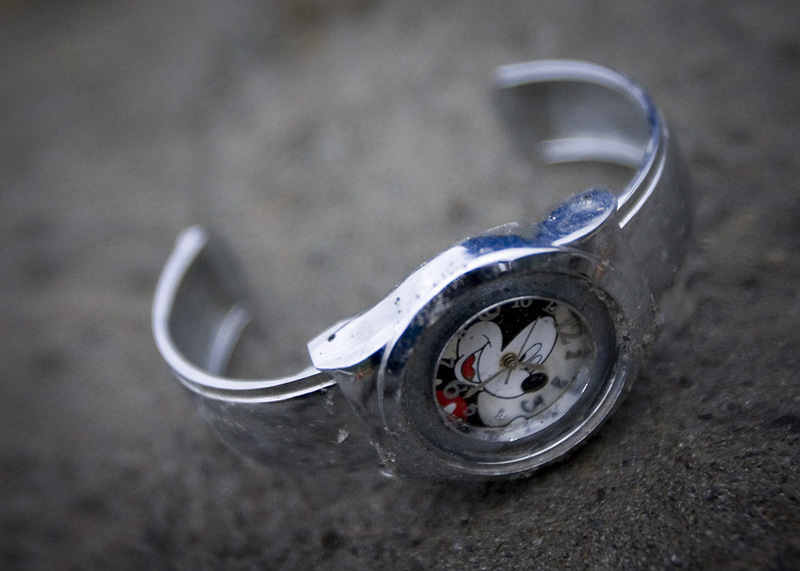 But for Lu and many other parents in Sichuan province, the living are daily reminders of the dead. After 10 years of campaigning, most parents have given up on ever seeing the fruits of an investigation into the alleged shoddy construction. As for the generation of second children, their parents try to shield them from the brunt of history and its associated traumas, but it’s impossible for the youngsters to remain entirely ignorant of how their families have been shaped by the quake.